According to the Law Gazette (15 May 2017 edition), HM Courts & Tribunals Service has quietly piloted evening Court sittings. It has now been decided that these sittings are to be put on hold in the run up to the General Election in the face of mounting opposition from lawyers. HMCTS had wanted to make the system more flexible for all users. In a statement, Garden Court North Chambers condemned the idea and warned that ministers should no longer rely on lawyers to toe the line. ‘The Ministry of Justice and HMCTS need to understand that the remaining goodwill of the bar on which the entire Court service depends is running at dangerously low levels’. The Statement continued, ‘Morale has never been lower than at the publicly funded bar after years of cuts to fees together with rising expenditure, for example on electronic equipment as Courts have gone digital. Barristers in Garden Court North Chambers are in no mood to cooperate with this scheme and we urge the MoJ and HMCTS to withdraw this pilot before it collapses in chaos’. 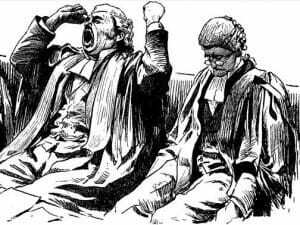 As a solicitor, I believe that it is unfair for lawyers to be expected to sit in Court until 6pm, 7pm and in some Courts, 8:30pm. With the closing of many local Courts, it may be that solicitors and barristers are travelling over an hour to reach the Court. By the time the Hearing finishes and following discussions with Clients, lawyers would perhaps reach their homes at 9pm. If they have to return to work first, they may not reach home until much later. Is this fair on family life? What about lawyers who are responsible for childcare within their families? The working hours of most solicitors are often extended and can result in 12 hour days under the current system. How far can the government stretch the already stretched?